Doing some consulting work recently reminded me of how new menu items are introduced in top restaurants and especially in restaurant chains. While many think menu selection is simply waking up in the morning and doing what one feels like, it isn't the case. Firstly, the chefs and consultants look at market demands, customer tastes, seasonal ingredients and then come up with 2-3 choices. They then allow their creative minds go wild and create several great dishes for the head chef, owner (and all the stakeholders) to try and hone in the ones that will become signature dishes. The next part is actually where the wheels potentially fall off. 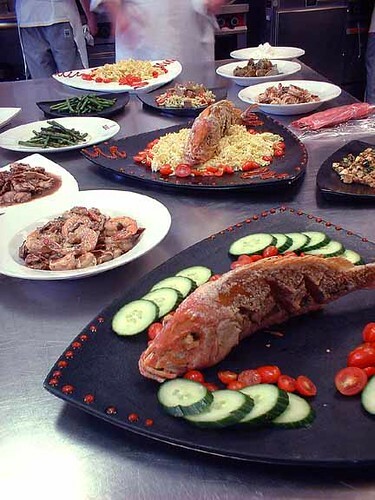 In addition to taste, the things that need to considered is to tweak each new item so that a) the ingredients are readily available, b) the entire cost of creating the dish is within budget so you can make a profit on each serving, c) the most important consideration of all, you can prepare the dish consistently and quickly. It is one thing to create one serving of a fantastic dish, it is totally another matter to do this for 50+ patrons every day. Even minor details of how the food is prepared, cooked and plated must be such that it is as efficient and as cost effective as possible. The process of developing software solutions is really no different. Too often we sacrifice efficiency, ease of use and repeatability because designers forgot about the end-users. i.e. the design was great but functionally it scored low for usability and deployment. Sometimes, this is a result of designers not understanding the production ramifications of their design or refusing to compromise on their creative output. The designer and the production group must work together from the start to ensure that the design philosophy is reflected in the final product without breaking the bank. Another analogy that comes to mind is the car industry where prototypes are usually radical and off the wall but the final product is more subdued, not only to suit consumer tastes, but to also make sure the product can be created as economically as possible using existing machinery and parts bins. Another is the fashion industry.